Everlast Construction & Painting LLC has been a trusted name in roof installation for years. We can install just about any roof, including shingle roofs, flat roofs, metal roofs, and tile roofs. Choose Everlast Construction & Painting LLC to help you protect your #1 investment. Roofing installation is a breeze with Everlast Construction & Painting LLC. Just give us a call and well have a free written estimate for you in no time. Should you choose Everlast Construction & Painting LLC for your next roofing project, our top notch team of roof installation experts will complete the project to your specifications. The roofing team at Everlast Construction & Painting LLC takes special care not to disrupt your plants and shrubs, and we'll leave your property just as tidy as we find it. Everlast Construction & Painting LLC is an expert at installing residential and commercial roofing projects on time and on budget. For speedy, yet efficient and detailed services, trust Everlast Construction & Painting LLC to get it done right every time. 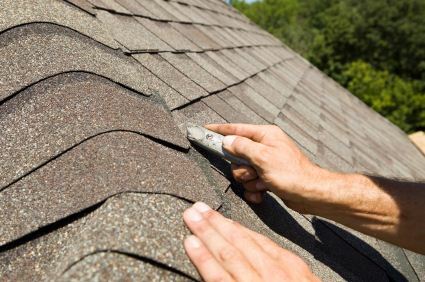 Our roofing experts utilize only the finest materials and techniques to ensure that your new roof will withstand the harsh weather elements and keep your building secure and protected.